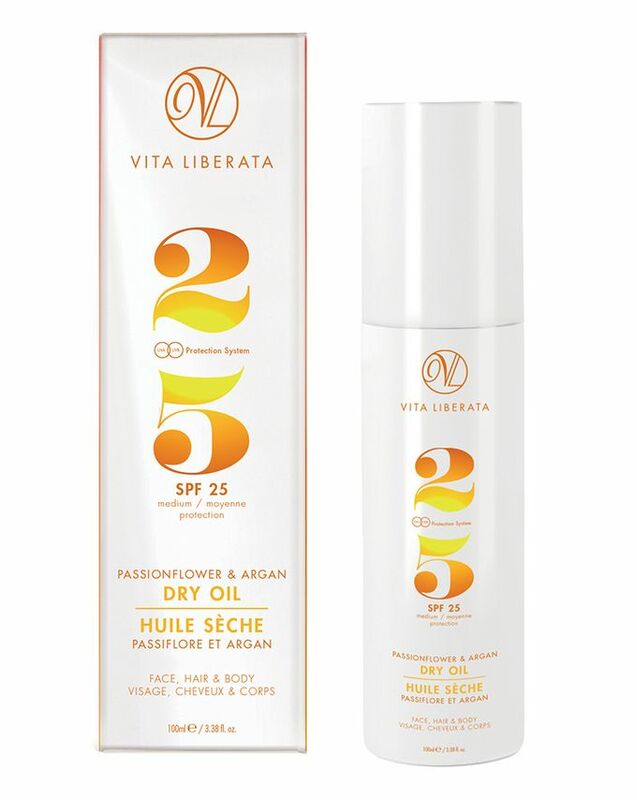 An intensively hydrating skin-conditioning elixir, Vita Liberata’s Argan & Passion Flower Dry Oil is enriched with organic extracts to fortify skin’s fabric while protecting from the ageing effects of UVA and UVB rays. 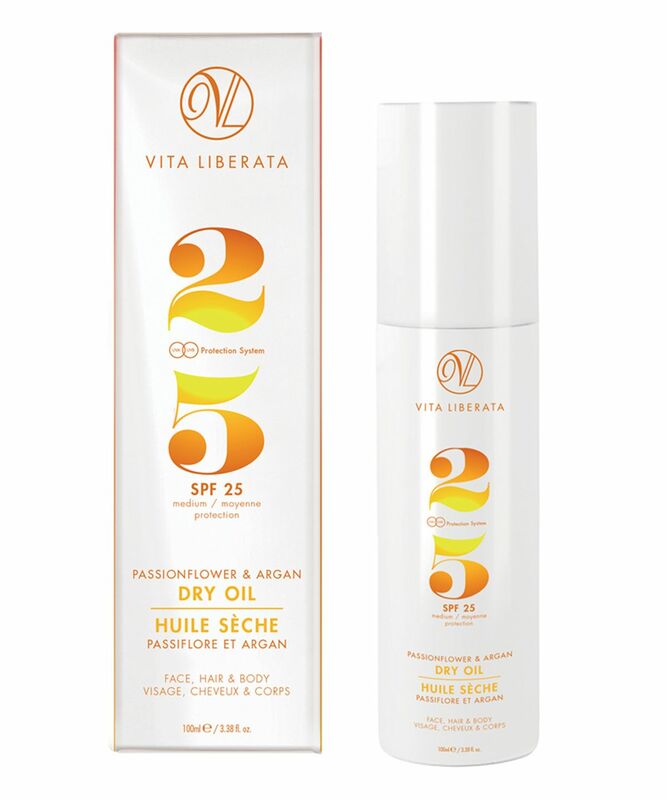 Available in a choice of two sun protection factors – SPF25 and SPF50 – this is perfect for those who hate the greasy feeling that is so often associated with sun lotions; the spray-on filter is convenient to use and absorbs almost instantly, to leave your skin protected without any chalky residue. Argan oil is renowned for its skin-strengthening abilities – enhancing elasticity to promote suppleness and ‘stretch’ – while passionflower extract retains moisture to leave skin feeling ‘plumped’ and dewy. Almond oil calms inflammation and rosehip extract promotes skin resilience, so skin becomes super-soft and luminous, whilst shielded from the damaging effects of sun exposure. Founded in 2003, Vita Liberata’s founder Alison Hogg had grown tired of products that promised the world but then failed to deliver. The perfect choice for the discerning sun worshipper or dedicated self-tanner, each formula – from fake tan to sun care – is brimming with natural ingredients to facilitate the perfect, sunkissed glow – safely! There’s something to suit all skin-tones and lifestyles – whether pale and interesting, gorgeously golden, a faux-glow beginner or a tanning pro – just choose your weapon, don your mitt and get glowing! Apply liberally to dry skin 30 minutes prior to sun exposure. Top up after swimming or showering.